State Representative Avery Bourne (R-Raymond) is co-sponsoring legislation, House Bill 138, to phase out pensions for the General Assembly. HB138 would close GARS, General Assembly Retirement System, to State Representatives and Senators elected after January 1, 2016. “It’s time to lead by example in Illinois,” said Bourne. “Fixing Illinois’ out of control spending should be our priority and we need to start with ourselves. This bill is a step in the right direction.” Nearly 30 of Representative Bourne’s colleagues joined her in declining a legislative pension. 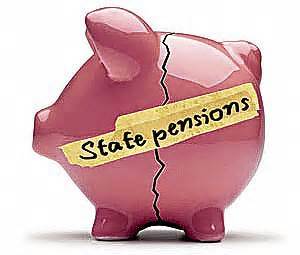 Legislative analysts project that by the end of June the five pension systems will need approximately $131 billion to cover benefits already earned by public workers, with only $46 billion in expected assets to cover the costs. The other $85 billion represents an unfunded liability which the state has the responsibility to meet and no funding source to do so.